We take the health and welfare of our animals very seriously. 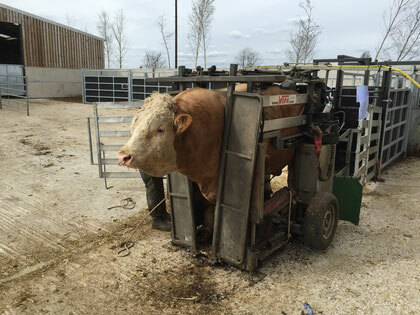 All cattle are checked at least once a day for any problems and if any are found they are dealt with straight away by ourselves or if the problem is a big one our vet is called to investigate. We do this mainly to ensure the cattle are all happy but it also helps with production as there are many diseases that can affect the herd causing bad feet, infertility, abortion of calves and worst of all death. We are members of Biobests HiHealth Herdcare scheme meaning that we blood test once a year to test for a number of diseases. We are a BVD accredited free herd and are monitoring Lepto and IBR which is dormant in the old cows only, so we shall become accredited free as soon as they are culled out and shall see over two thirds of our breeding females go Neospora accredited free by the end of 2015. Johnnes disease is being monitored closely with any potential at-risk animals being used for meat production and not breeding heifers. Again, as the older cows are culled out we should see ourselves become accredited for this also. All the pedigree animals have been brought from very high health herds being accredited free of all diseases and will be managed in a way to maintain this. We trim the feet of all breeding animals over two years of age just before turnout in April every year and then any that have had problems over the summer months will be trimmed again at housing, in November 2015 George attended a foot trimming course and gained the appropriate training to carryout any feet related problems as they occur. All young stock are given a wormer on housing with the older animals monitored for worms and only treated if they need to be. We will treat all stock for liver fluke at housing as we do seem to have had a problem in the last couple of years, again this will be monitored so we can stop when we think it is safe to do so. All young stock will be vaccinated against pneumonia from the 2015 housing period after testing for and finding a strain that has been causing us problems in the past. We will also be using a creep feed with a coccidiosis treatment in it from March 2016 as again we have had problems with this disease over the last couple of years. George is a member of a local beef discussion group, meeting up every couple of months to discuss any relevant topics and attends many seminars throughout the year on a whole host of things to do with beef farming. He also holds certification in the safe use and storage of veterinary medicine and in the transport of livestock by road up to eight hours. By the end of 2015 he will also be qualified to carry out all our own artificial insemination work. We even host a few events at Red Oak Farm through AHDB Beef & Lamb, formerly know as Eblex, with George being a member of their Better Returns Programme. Back in November 2014 George was featured in their Grazing club under Case Studies with the title George Coles - Northants herd set for rapid expansion, to view this please go to the link titled in the press. 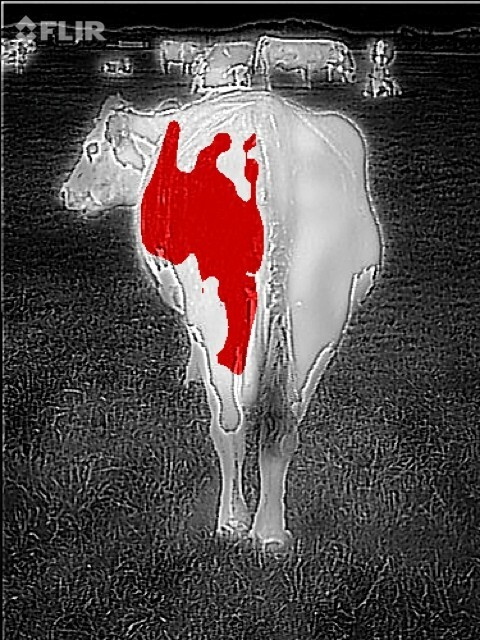 George is always on the look out for new things to assist in the health and welfare of our cattle, the latest purchase being a thermal imaging camera to help locate problems with cows feet and hips. He has also redesigned a piece of equipment found in America to milk cows using a cordless vacuum pump being able to milk the cow quickly and safely without being kicked. We may be able to offer this product for sale in the UK soon: keep watching this site for more details.